Can YOU catch the unicorn? You'll have to use your brain, So set your traps and prep your team To pet that rainbow mane! The kids are looking for something fun to do, so they set their sights on going to the zoo! And isn't riding a rainbow—made by a unicorn—the perfect way to get there? 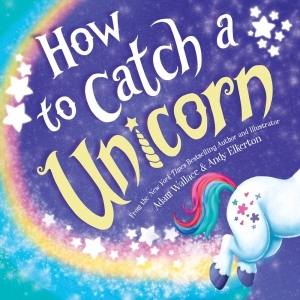 Shenanigans and high jinks ensue as the friendly unicorn visits his fellow animal buddies while the kids give chase to try to pet that coveted rainbow mane. The fun never ends with tricky traps and glitter galore! 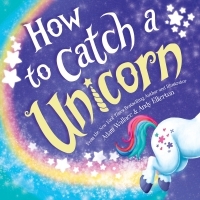 Find out how to catch a unicorn in the newest addition to the New York Times bestselling series!